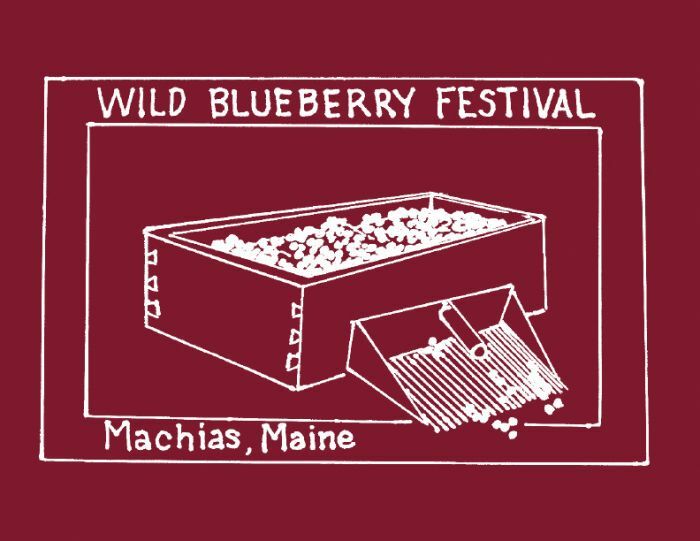 The winning design will be used for the Machias Wild Blueberry Festival 2019 T-shirts. These shirts have become collectors items for some folks! The design will also be used for a United States Postal Cancellation stamp that is available during the festival, and for one month after the festival at the Machias, ME post office. 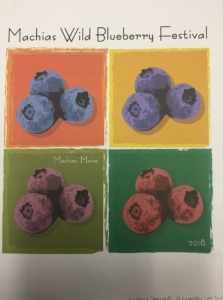 The design to the left was the 2018 winning design created by Ashley Hinson Dhakal. Designs should be simple and catchy to capture the fun of attending the festival. 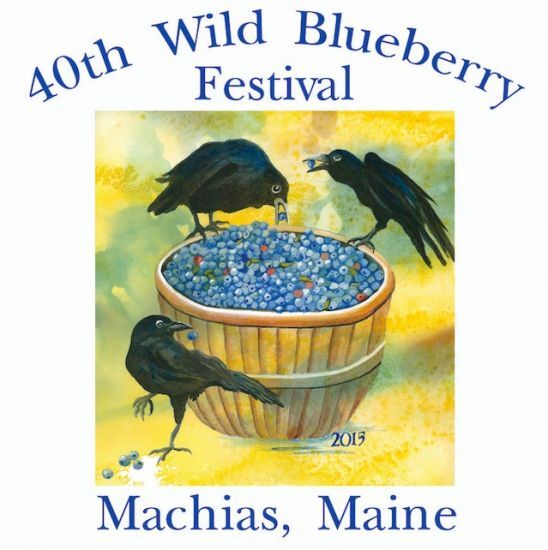 Incorporate the year 2019 and the words Machias, Maine. Those elements can be small and inconspicuous. Designs can be a drawing, painting, or copyright free digital artwork. Digital artwork should be at 300 dpi. The design should fit into a 12″ x 12″ space. 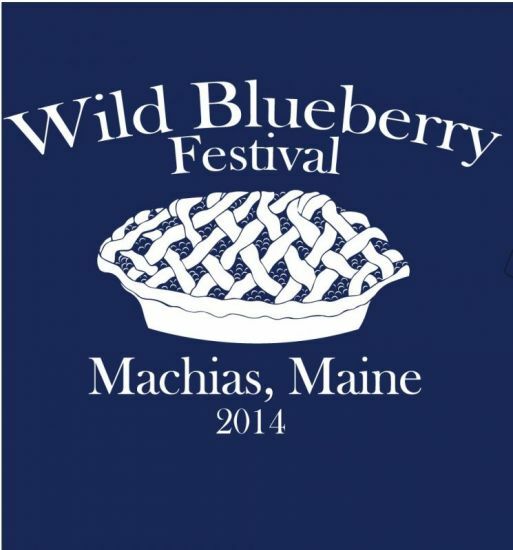 Click here to download the t-shirt contest entry form.